Thanks to digital transformation, today every company is a software company -- whether or not you’re in the IT business. The need for software hits an organization from all sides. Why digitally transform? To make internal processes more efficient. To improve customer satisfaction by offering a better user experience (think Netflix or Amazon). To gain a competitive edge in business by innovating faster. The “problem” is that digital transformation is not just about the technology: it’s about the people who use it. Lack of buy-in from employees is a common reason for a failed digital transformation. Another risk is a product that, in the end, isn’t successful with users in the market. You increase your odds for a successful digital transformation by working with technology that is fully customizable to your employees’ needs. You can also test and iterate products fast during the development cycle to ensure that once they hit the market, they’ll be well-received by users. Enter no-code development platforms. No-code platforms allow users to develop fully customizable applications without writing a single line of code. By removing the need for high-level programming, the development process becomes up to 16 times faster and more flexible. Digital transformation is what happens when people meet technology. No-code platforms are the result of more people needing access to development tools to speed delivery. Using a no-code platform to fuel a successful digital transformation gives you the flexibility and safety to experiment and move fast in an ever-changing IT landscape. 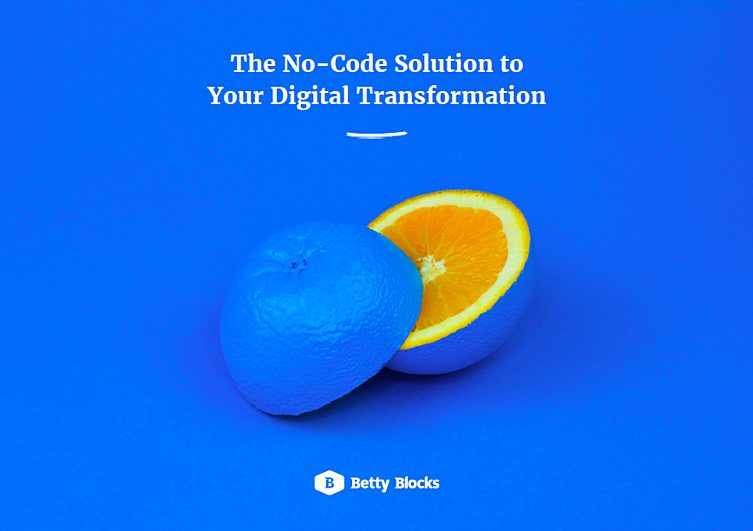 To learn more about how no-code can drive a successful digital transformation, see our whitepaper "The No-code Solution to Your Digital Transformation." How can organizations think about digital transformation in a way that makes sense? How to approach digital transformation so that it will be a success. Why digital transformation is necessary for every organization. How to use no-code development to drive effective digital transformation. Sounds good? Get it below!